After considering all our requirements, it was clear that AWS would be our best bet. 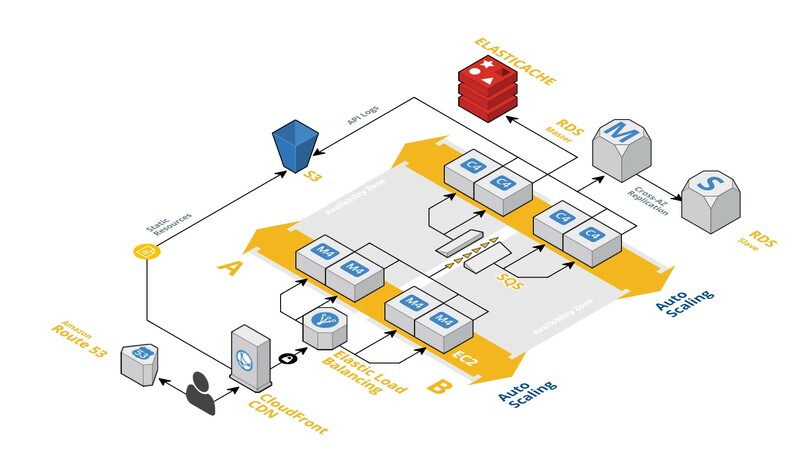 AWS features a more advanced IT architecture design than the competing cloud platforms. Founded in June 2014, APUS Group has been dedicated to providing the best mobile internet products and experiences for smartphone users around the world. The APUS User System consists of APUS Launcher, APUS Discovery, APUS Know, APUS Headlines, APUS Browser, APUS Booster+, APUS Message Center and APUS Theme, among other products and services. APUS Launcher, the first product by APUS, was released in July 2014. Within the first week, it had gained more than one million users. By 2016, APUS had acquired more than one billion users worldwide. In addition to growing its own business, APUS plays an active role in helping other domestic mobile internet products and services develop and expand globally. Providing a small, fast, and easy-to-use Android user system to overseas Android users is the mission APUS set for itself even before development began on its very first product, APUS Launcher. APUS had a good reason for choosing to develop a mobile user system for the Android platform: because of Android’s open-source nature, Android phone manufacturers have developed a variety of user interfaces. This lack of a uniform launcher system means users have to adjust to a new look and feel whenever they change their phone, driving up the cost of using Android devices. Seeing this, APUS assumed Android users would welcome a launcher app that could help them organize their home screen and make touch operations more efficient. The company decided to target overseas markets for its business due to the size of the opportunity available in other countries. According to Google, the number of Android users had reached almost 1.5 billion in 2015. According to Statista, the global number of Android users is forecast to grow from 1.5 billion in 2015 to three billion in 2019. Also, customers in countries like Brazil and India are in need of a fast, convenient user system with low-memory footprint. Once its target market and segment were fixed, the main challenge facing APUS was how to quickly develop suitable products and deliver them to global users. “Previous experience taught us that a public cloud platform is the way to go,” says Tao Li, founder and CEO of APUS. As a fast-growing startup, APUS’ rapidly expanding business and user base called for an IT infrastructure that could be deployed and scaled in a responsive manner, while the global nature of APUS’ users requires a platform that provides worldwide service coverage. APUS has relied on AWS to run its entire business system since the company’s founding in 2014. All of APUS’ overseas businesses and associated functions—including application interface, static resources, log collection, and data analytics—are deployed on AWS. AWS offers a variety of functions designed to help users better plan their application systems and simplify management. For APUS, Amazon Virtual Private Cloud (Amazon VPC) gives the company finer control over its networks. Specifically, Amazon VPC permits a user to provision a logically isolated section of the AWS Cloud in which it can launch AWS resources in a virtual network it defines. The user will have complete control over its virtual networking environment, including selection of IP address range, creation of subnets, and configuration of route tables and network gateways. “Through Amazon VPC, we can easily deploy different businesses among different subnets, which makes management a breeze and enhances security,” says Li. AWS has provided three major benefits to APUS: improved user experience through high availability, significantly reduced operational and maintenance costs, and shortened time to deploy new projects—which means faster product launches. APUS has more than one billion users worldwide, who not only use its system but also enjoy the content services, personalized themes, and location-based exploration and discovery functions delivered through the user system. The user experience is heavily affected by the stability and reliability of service. Due to the high availability of AWS, APUS’ applications achieve 99.99 percent availability, ensuring app users can enjoy the best user experience no matter where they are. AWS also brings significant savings in operation and maintenance costs. “The extensive SDKs and automated operation and maintenance tools offered by AWS have helped us gain one billion users around the world,” says Li. Finally, compared with APUS’ traditional approach of renting servers at Internet Data Centers, the time to deploy a new project has been shortened from more than one month to one day by switching to AWS. There is also no need to buy servers in advance, as the number of cloud servers in use can automatically scale up to accommodate the expanding user base, ensuring the entire system is always running at peak performance. APUS plans to expand both its use of AWS services and footprint of AWS Regions in the future, as it works to build a larger user community and encourage local startups to grow their own mobile internet business, with the aim of creating a complete ecosystem comprising both content and service.